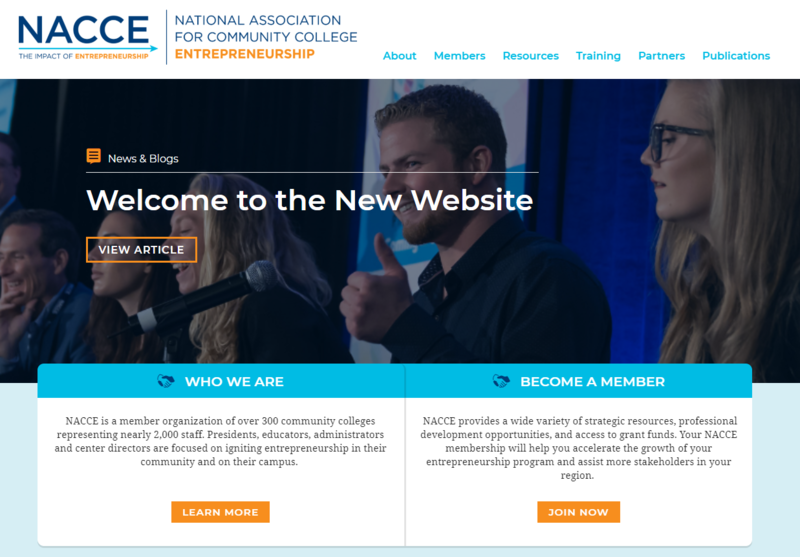 In an effort to better serve you, our valued members, we have given www.nacce.com an updated, fresh look! In order to get the most out of your member experience, you will need to create a new login. Your previous username and password will not work on the new website. Mobile-friendly - No matter where you access www.nacce.com (i.e. on your phone, tablet, or desktop), it will be easy to navigate and look great! Member Compass - Update your profile, view events you're registered for, pay invoices, see order history and more! Member Directory - See who is on your org's membership and connect with other NACCE entrepreneurial catalysts! Don't forget to fill out your Member Profile!